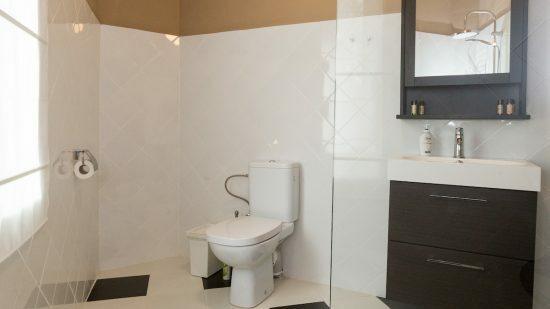 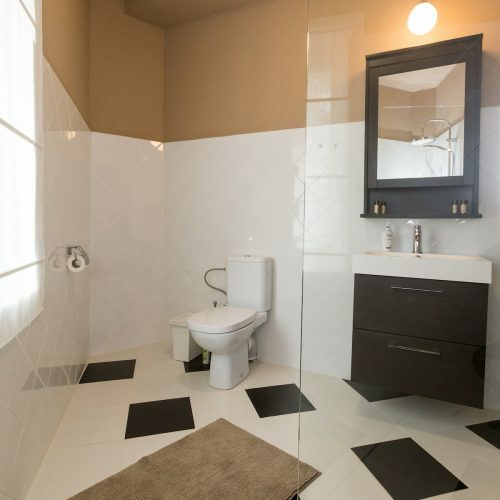 Double room with ensuite bathroom and living area. 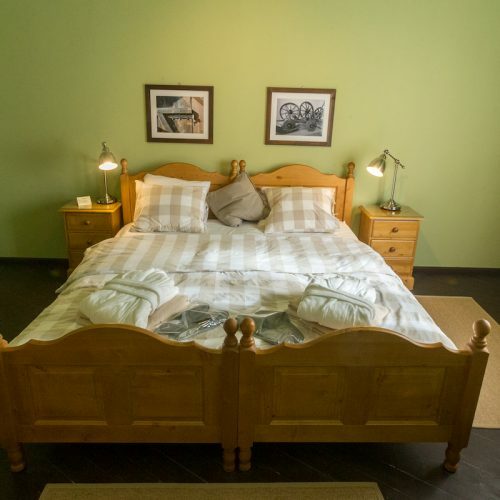 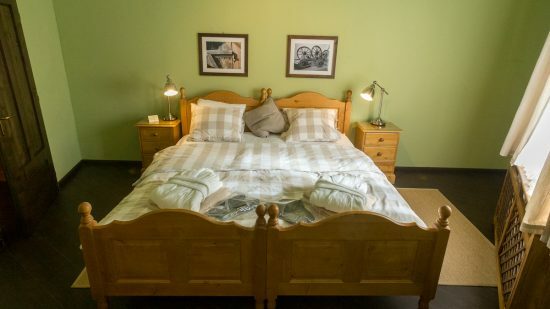 The green shades of the sleeping area feature traditional pine furniture made in Roșia Montană. 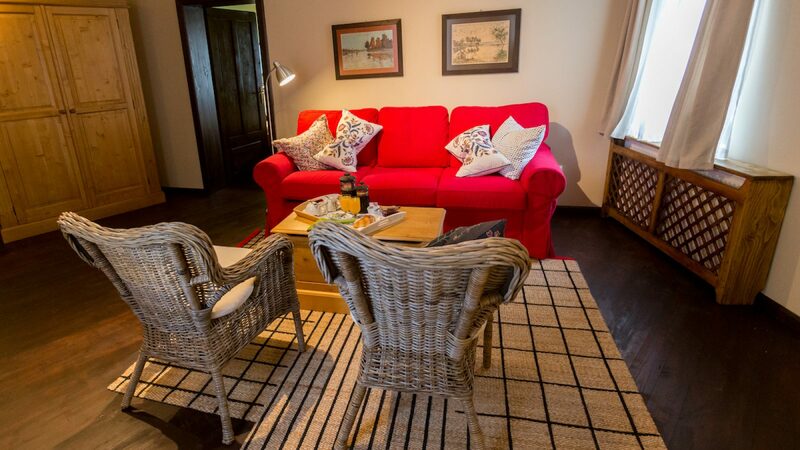 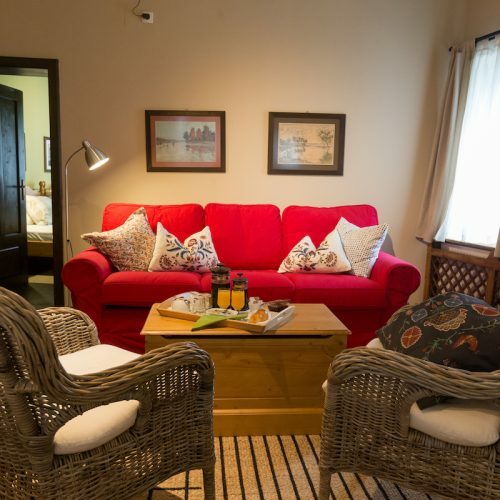 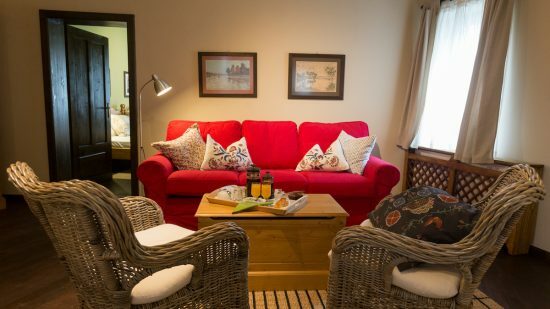 The living room’s main features are a vibrant red pull out sofa and traditional woven armchairs.